Can a photo paper live up to your hopes when it comes to detail reproduction? It can at WhiteWall. 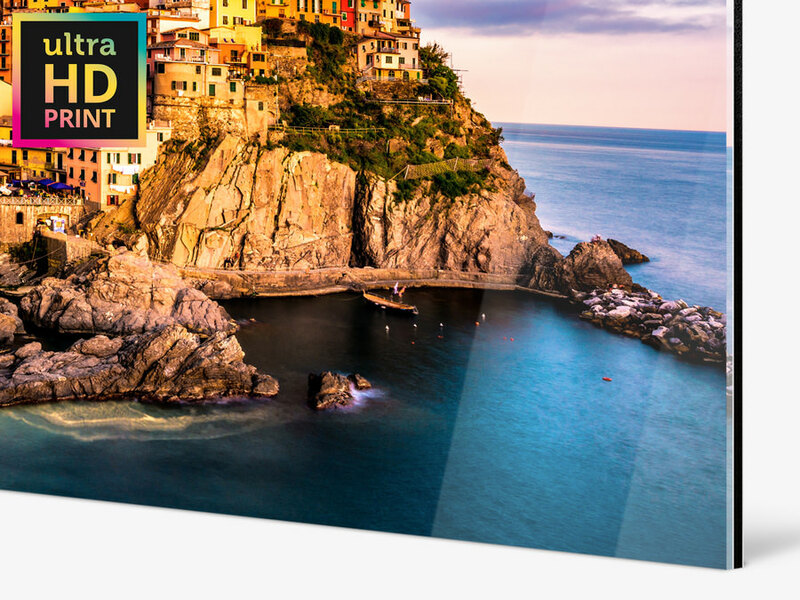 Taking advantage of the latest developments from Fujifilm, we have improved on our multiple award-winning product, meaning you receive your image in the best ultraHD quality possible for a photo print. When it comes to preventing halftone in your prints, no printing technique is better than classic exposure on light-sensitive photo paper. In order to make the technological improvements of modern cameras visible in your photos, we continued to refine this process until we revolutionized classic photo developing with our first generation of ultraHD Photo Prints. To continue to do your pictures justice, we are now taking the realism to the next level. The experts at Fujifilm conceived a new photo paper finely tuned for our printing process. Fuji Crystal Professional Archive Maxima Paper was made for our ultraHD Photo Prints. Also available as an unmounted ultraHD Photo Print or as an Aluminum Mounted ultraHD Photo Print. Many modern cameras – both mirrored and medium format alike – are capable of taking shots with high resolution, low noise, and an enormous level of detail. Even smartphone cameras have beefed up their tech. To make the improved picture quality visible in photo prints, we have continued to work on our bestselling product. 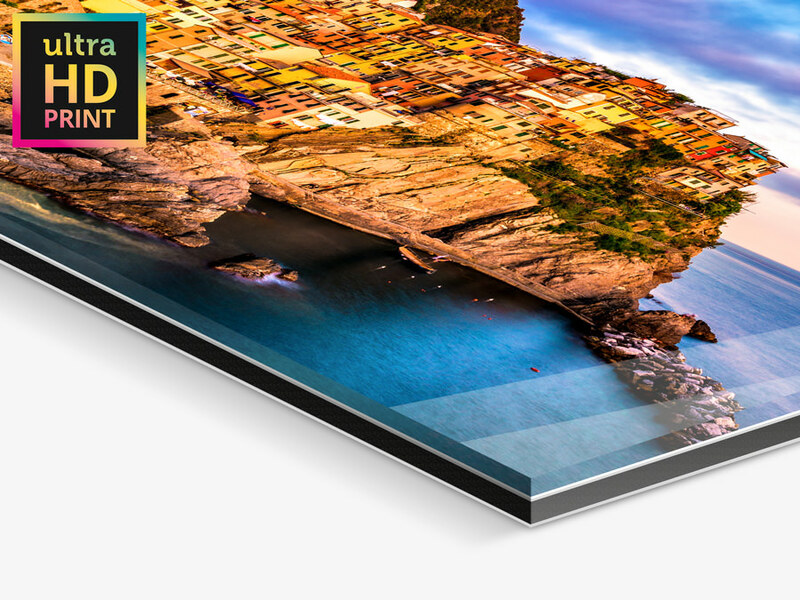 Presenting the ultraHD Photo Print Under Acrylic Glass: perfect definition and detail. 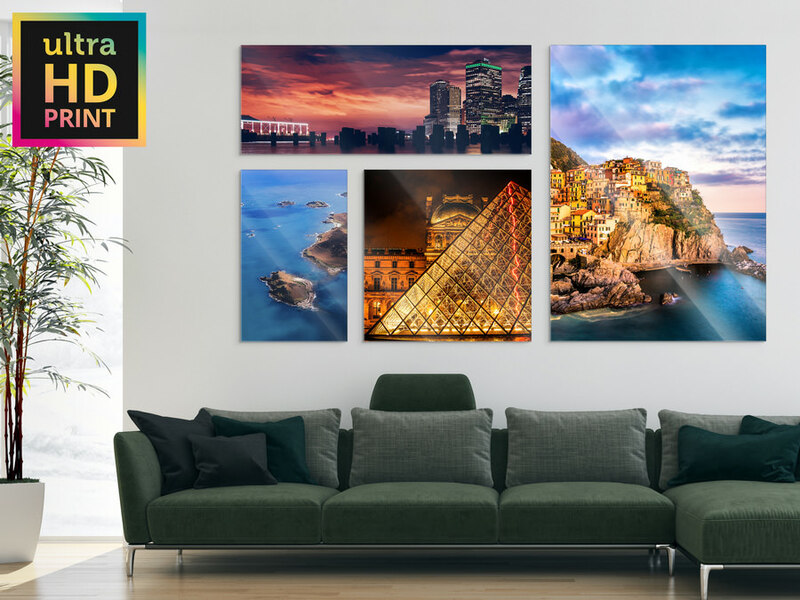 Compared to conventional photos, ultra HD Photo Prints offer significantly better resolution and have visibly sharper definition in the image’s finer details. NEW: In the Fuji Crystal Professional Archive Maxima photo paper, the visual maximum density is increased another 10%. Now even finer details can be reproduced, even in dark, shadowy parts of your photo. With the new Fuji Crystal Professional Archive Maxima photo paper, the volume of the color space has been increased an additional 21%. Darker and very saturated colors in particular are more brilliant and depicted with more detail. This means even extreme lighting conditions can be faithfully reproduced in the Acrylic ultraHD Photo Print from WhiteWall. 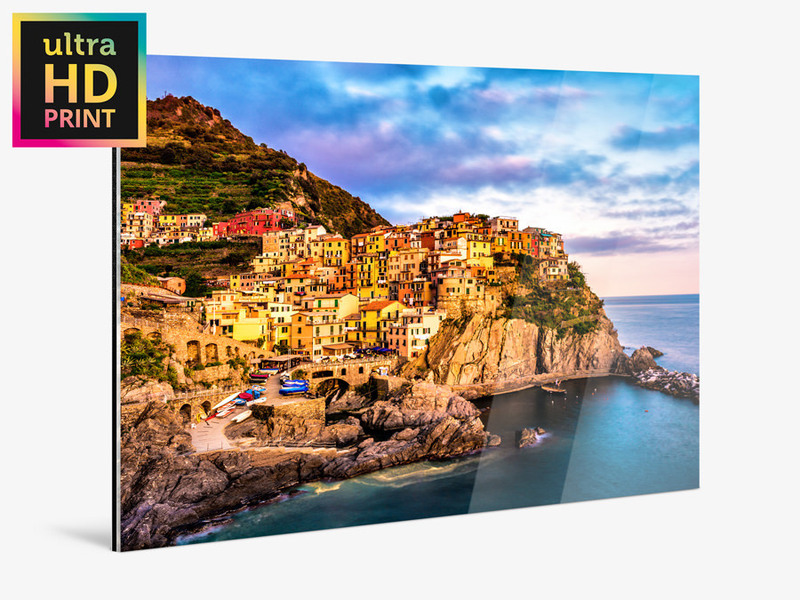 Through the increased dynamic range and increased maximum density, your Acrylic ultraHD Photo Prints appear more vivid and rich in contrast than conventional photo prints. Even the modern LED lights often found in galleries and museums cannot do these ultraHD prints harm – improved resistance to light guarantees the true colors last and last. Additionally, the lab conditions for our new process remain so constant as to almost entirely preclude any deviations upon repeat orders. The characteristics of the razor sharp ultraHD Photo Print are exhibited perfectly under acrylic glass. The light, shatterproof material enhances the appearance, making the colors and depth really pop. The 1/8” (3 mm) aluminum Dibond backing consists of two layers of aluminum sandwiched around a polyethylene core. This completes the overall look while providing additional stability. We recommend our gallery standard. Our hanging hardware is adapted to the size and included in the price. Of course, you can also order your image without hanging systems. All of these options can be used with gallery rails. At WhiteWall, we make ultraHD Photo Prints on Fuji Crystal Professional Archive Maxima in more than just standard sizes. We’ll make them to your exact specifications. Select from our preset sizes from miniature to extra-large or set your own aspect ratio and dimensions. You can even customize the shape of the corners.